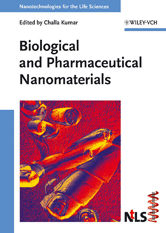 This first comprehensive yet concise overview of all important classes of biological and pharmaceutical nanomaterials presents in one volume the different kinds of natural biological compounds that form nanomaterials or that may be used to purposefully create them. This unique single source of information brings together the many articles published in specialized journals, which often remain unseen by members of other, related disciplines. Covering pharmaceutical, nucleic acid, peptide and DNA-Chitosan nanoparticles, the book focuses on those innovative materials and technologies needed for the continued growth of medicine, healthcare, pharmaceuticals and human wellness.For chemists, biochemists, cell biologists, materials scientists, biologists, and those working in the pharmaceutical and chemical industries.